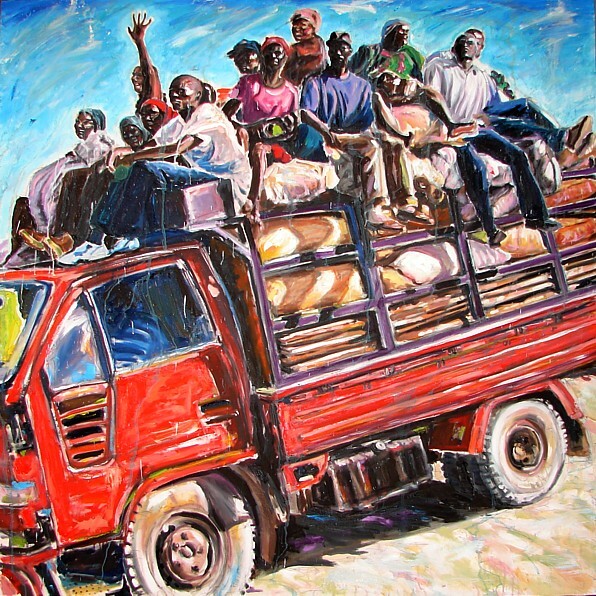 As the current world economic crisis deepens, the role and meaning of art in society changes as more and more people are dragged down by the weight of personal debt, unemployment and poverty. Galleries close and less people can afford to buy art creating a new awareness among artists of the fragility of the art market and the economic system behind it that creates an increasingly alienated and elitist exclusivism. The beneficial effects of new radical-democratic global solidarity movements coming together to seek alternatives to this crisis in capitalist globalization may be to reinvigorate the long-standing, though weakened, connection between artists and the people (as opposed to the economic elites who have been the artists’ lifeblood in the past but who are now also in crisis). 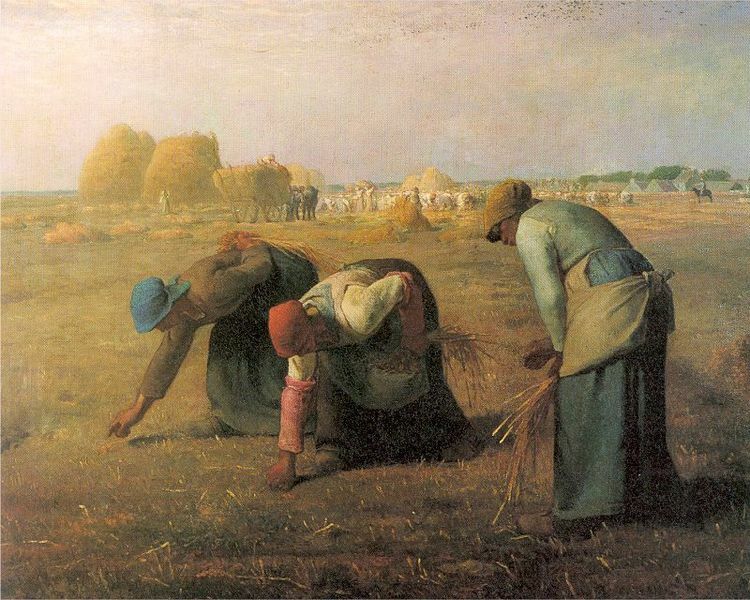 Thus, in this style of art we have a form described as Realist, that is a “a movement in 19th-century (particularly French) art characterized by a rebellion against the traditional historical, mythological, and religious subjects in favour of unidealized scenes of modern life” (6) or Social Realism, “an artistic movement, expressed in the visual and other realist arts, which depicts social and racial injustice, economic hardship, through unvarnished pictures of life’s struggles” (7) taking on a whole art history that mainly consisted of the representation of elites. 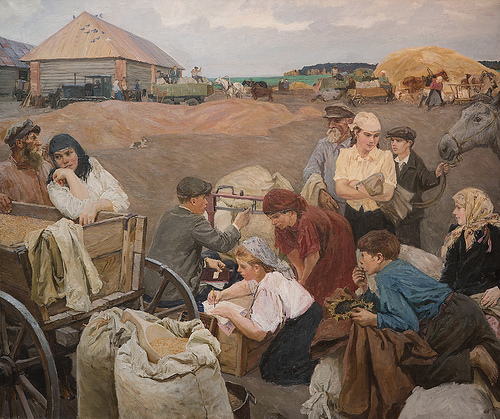 In the Socialist Realist artist Arkady Plastov’s Pay Day we now see people depicted as recognizable subjects, not objects. They are shown to be healthy, well-dressed and in control of their situation. Of course, there are paintings which depict ecstatically happy and joyous people and this kind of art might be better described as Revolutionary Romanticism in that it serves in an aspirational capacity to encourage the masses to follow the desires or policies of the state. They are romantic in that they are based on a strongly imaginative or emotional appeal to what is heroic, adventurous, or idealized. Revolutionary Romanticism has always been controversial too, from Eugène Delacroix’s painting Liberty Leading the People (1830) to the art today of various states and organizations and the polemical debate it has engendered. 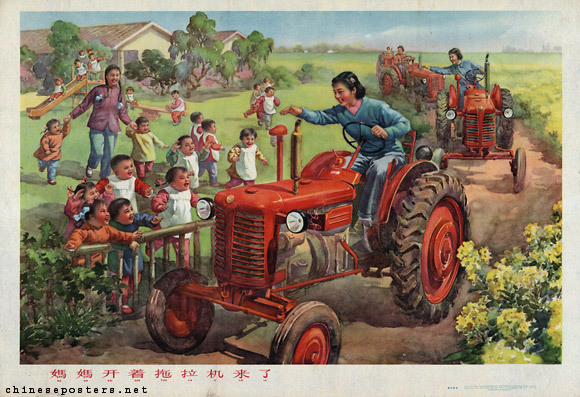 In a Chinese poster from 1960 we see farmer mothers and children in a creche depicted in a Revolutionary Romantic style. The role of art in helping bring about change by connecting with progressive movements, ideas and politics and refusing to be stifled or misdirected will develop a new mutual respect between the artist and the public.